If you are in the Morgantown, West Virginia Area, enroll you children in our Summer Workshop Series. Children learn in a tactile way. Children learn through doing. We incorporate STEAM principles in all of our studio projects. This way of teaching makes hard-to-understand principles both fun and educational. Teaching through craft makes learning effortless. Summer Workshop dates are announced in early Spring each year. Summer 2017 dates are as follows. 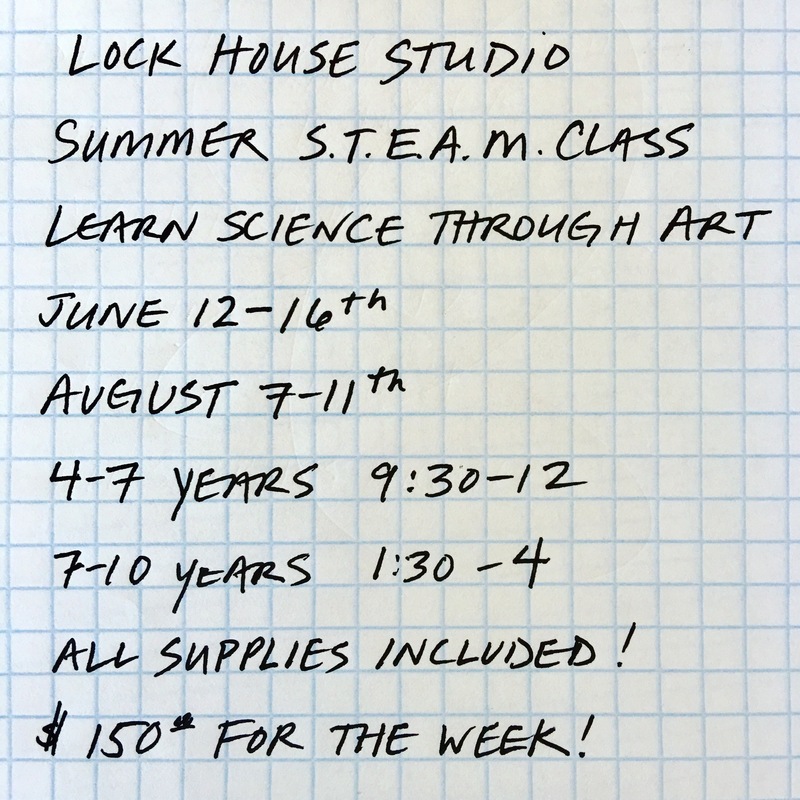 Contact Lock House Studio for more information.